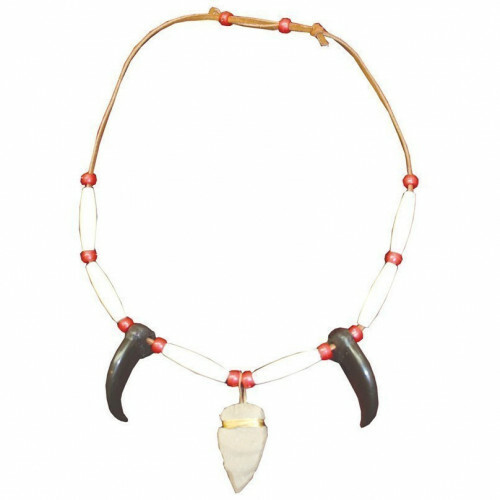 A Native American inspired necklace to symbolize the "proof of the hunt". 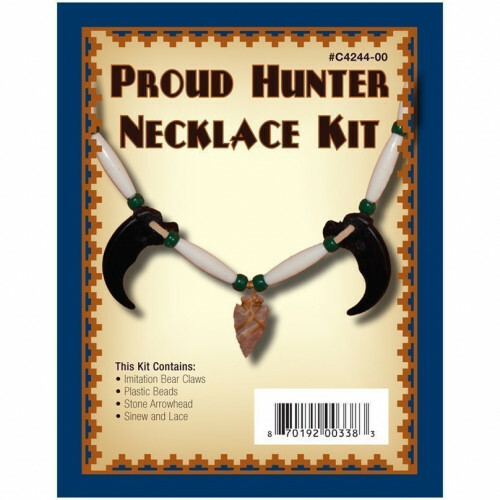 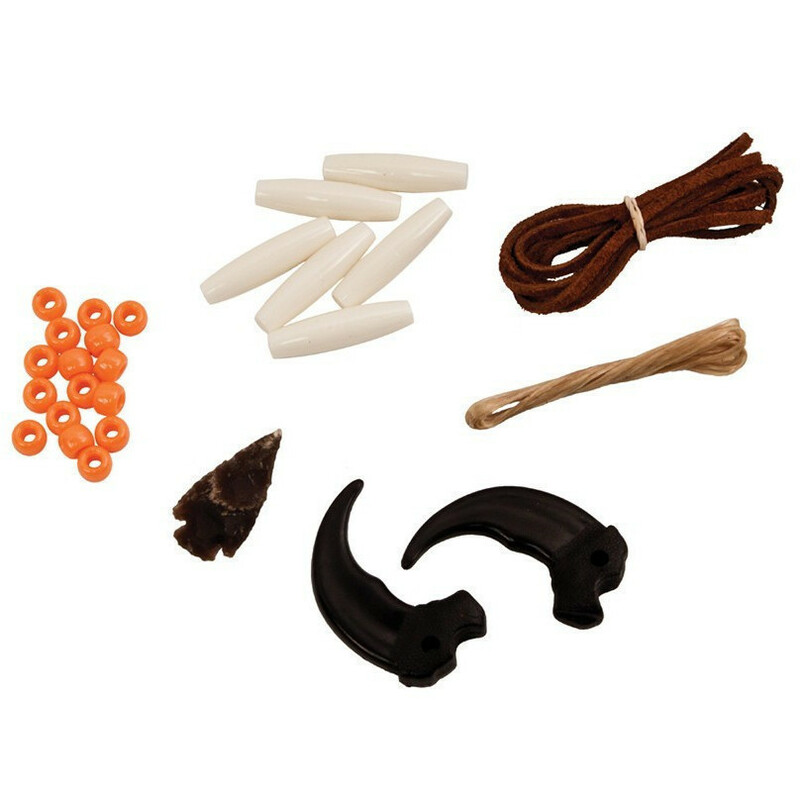 Kit includes plastic bear claws, real stone arrowhead, imitation bone beads, plastic beads, lace and assembly instructions. 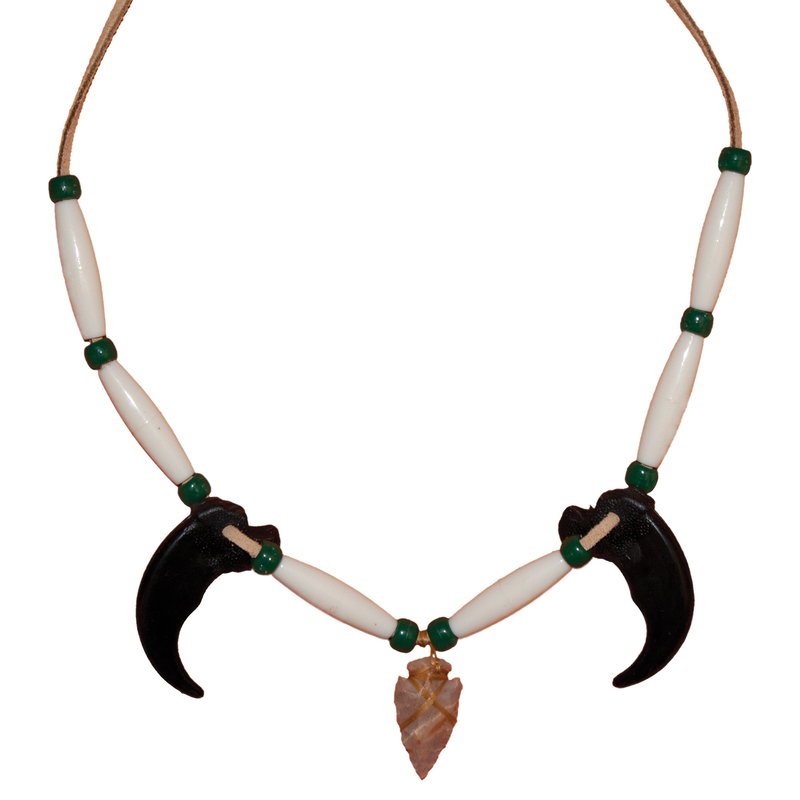 Finished size is adjustable. Assorted colors.